Beginning Of The Impetus Journey! Today I will be reviewing a title an Author has sent me to review! Note: I want to mention that the relationship with the author, does not affect me giving an honest review. Let’s get started shall we? Diana is a senior in high school asked to the prom by her best friend, Basal. They really seem to like each other with everything falling into place perfectly. But when Diana steals an expensive pearl necklace, and a teenager appears among a gray mist on her balcony, then sees black figures coming towards her. She is warped into a different world. He states she summoned him. How can she believe him when he’s a complete stranger? Diana is introduced to a world called Impetus where humans are enslaved and once glorified Gods are now tyrants. Diana doesn’t have any powers that she knows of… how special is she really in the world of Impetus? First of all, I’d like to thank the author, Sophia for contacting me to review her book series! Especially I appreciate her spending money from her own pocket to send me a physical copy. 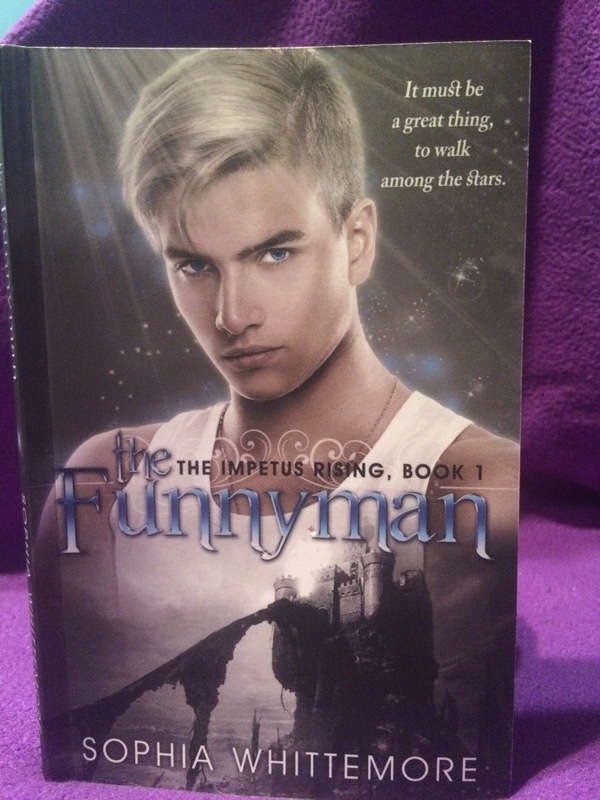 To be honest, When reading ‘The Funny Man’ I was at first a bit confused when reading the prologue, and first chapter that I had to reread the pages to fully grasp the concept. When continuing to read, I understood and truly enjoyed this book. Diana, and Prince Isak are characters that I truly loved and it was such an adventurous, dark, and out of this world… literally. I’d like to mention that Sophia’s writing style is in First Person, and she is incredibly descriptive which is wonderful for a reader to know that you can easily imagine the world she’s trying to tell. Throughout this whole book I was honestly so astonished at how descriptive she REALLY is, it amazed me. It also has a sense of connection held together with a bridge between two worlds, Diana’s reality and Impetus. I’m a sucker for Fantasy and an Imaginative worlds, so It was a fun and fast read to follow along. I believe this book is a quick, and easy to read for anyone who enjoys fantasy. If you do enjoy Fantasy that are quick and easy to read, you should read this book and follow the rest of the series! Mad Cap, the Third book in this series is published on August 1st. Check out her series! 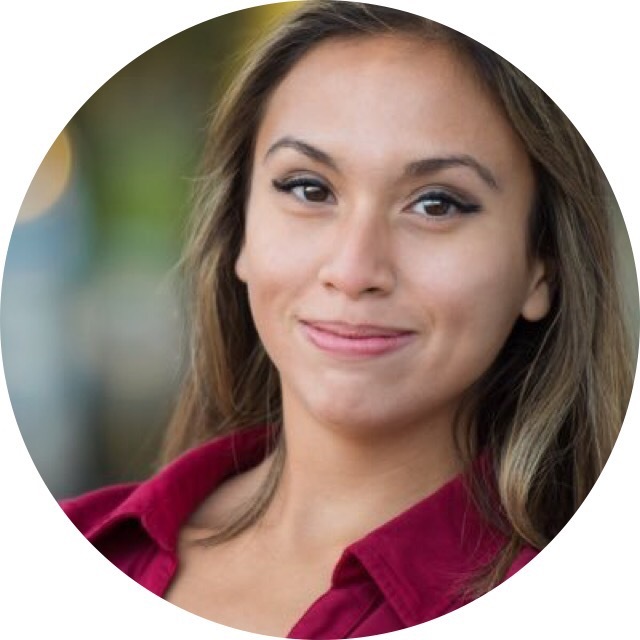 Sophia Whittemore is a multiracial and Indie author who published her first book, The Funny Man at age 17. Her love for the english language began when she went to the Scripps National Spelling Bee and continued with other languages such as Indonesian and Spanish. Sophia has an Indonesian mother and Minnesotan father. Currently she is a Dartmouth student and resides in Chicago, Illinois with her family and mini schnauzer dog called Tiger. Drawing on inspiration from her two cultural backgrounds, Sophia lives a life playing tennis, traveling, and writing about her life experiences. Question of the day: What is the #1 ARC you will be reading for ARC August? See you next time Unicorn babes! Follow Sophia Of Social Media! Previous Post My TBR Tag! Next Post Free Printable Bookmarks! Sounds like a fun read, honestly! Don’t know if I’ll pick it up – too many books, seriously haha..
And for your QOTD: First ARC on my list is The Beautiful Ones by Silvia Morena-Garcia. I’ve already read one chapter – yay for breaks at work – so I’m off to a good start. I hope. Every avid reader understands, haha! Sounds really interesting! I might have to pick it up. My TBR is sooo long though! I’ll be starting Mask of Shadows soon! Fingers crossed that I love it! Aww thank you my love!💓 Ahh I hope you love it too! I’ve been hearing so many things about it! Congrats on reaching 100 followers. That’s such an awesome accomplishment. The first ARC that I’m planning on reading this month is Mr. 60%. Hopefully I like it. =) I just stumbled upon your blog, and I’m greatly enjoying its content so far! I’ll definitely let you know if I enjoy it. Have a wonderful day!